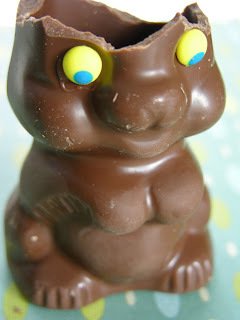 Tucked away in a Ziploc baggy, an earless “chocolate” bunny was lurking in the depths of the pantry, staring at me with those crazy yellow eyes. Noooo, not the Dip! He met his end by way of the compost bin and will not be missed.